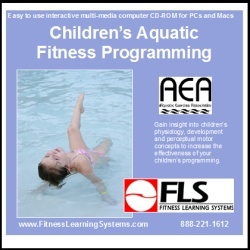 Review the characteristics of children and statistics regarding children's fitness. Gain insight into children's physiology and program considerations vital to a healthy children's program. Understand age and developmental considerations and how these impact programming. Develop knowledge and understanding of perceptual motor concepts and terminology to increase the effectiveness of your programming. Gain insight into class discipline and safety. Learn programming concepts and see sample class outlines and activity ideas.